On this day in 1749, the writer, philosopher and German statesman Johann Wolfgang von Goethe was born, in Frankfurt am Main, then an Imperial Free City of the Holy Roman Empire, to a local lawyer and the daughter of the city’s mayor. Home-schooled, Goethe learned a variety of languages, the liberal arts and the social niceties (dancing, riding, fencing). He went on to study law, but was writing copiously on the side, often love poetry to one of the various women he fell for. Falling under the influence of Johann Gottfried Herder after he relocated to Alsace, Goethe became fascinated with Shakespeare. In 1775 he published The Sorrows of Young Werther, a literary sensation in the Sturm and Drang genre which made him internationally famous. He became a member of the Duke of Weimar’s privy council, wrote a ground-breaking scientific work called The Metamorphosis of Plants, which pre-figured aspects of evolution, took part in a battle against revolutionary France and became a theatre director at Weimar. In 1808 he published his most famous work, Faust Part 1, following it two years later with his Theory of Colours, which influenced Schopenhauer and JMW Turner. Also fascinated by linguistics and mineralogy, he has a mineral (goethite) named after him. It is one of the great oddnesses of people who watch films for a living that they insist that other people should be interested in silent movies. 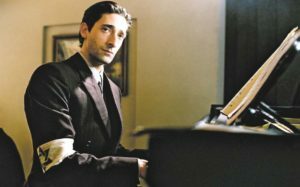 Most people are not interested in silent film, and on the whole they’re right not to be. But perhaps an exception could be made for a few of the great auteurs. FW Murnau is one such. Personally, I don’t think his Sunrise stands up that well to a modern viewing, historically important though it is. But Nosferatu does, and so does Faust, for broadly similar reasons. They show Murnau abandoning realism and concentrating on evoking emotion – fear in the former and awe in the latter, which he does with a skill that in some respects has yet to be equalled. Faust sticks passably close to Goethe’s original story, telling the story of a learned old man (Gösta Ekman) bewitched by the beauty of the young innocent Gretchen (Camilla Horn) and begging the devil Mephisto (Emil Jannings) to make him young again, in return for which the scholar will surrender his soul. All this while outside plague is raging, people are dying, the world is going to hell in a handcart. But not Faust. Now young again he entirely forgets his former concerns with healing the sick and finding a cure for the sickness, preferring to yield to physical pleasure, love, hedonism and all the rest of it. So much for the plot. But look at how Murnau dresses it. This is his legacy. And as various critics have already pointed out, Murnau wasn’t making an arthouse movie for a select set. He was taking an already well known story and telling it with all the cinematic bells and whistles he had at his disposal – this is blockbuster cinema, 1920s style. Take the scene where the Horsemen of the Apocalypse ride through the sky. Or where Mephisto and St Michael are arguing about the moral weakness of the human species. Or minutes later the majestic sequence when Mephisto appears and hovers gigantically over a small German hamlet. Forget realism, this is high style, a kind of gothic expressionism. Later scenes, where Faust flies on Mephisto’s cloak, perhaps work less well, because a sort of realism is Murnau’s aim, and there’s no way that trees made of cotton wool are going to pass 21st century muster. But when we’re in the realm of smoke and fog (which could be the film’s subtitle) and Carl Hoffman’s majestic cinematography, all extreme blacks and stark whites, crazily tilting roofs, perspectives twisted way beyond the possible, the imagination can run wild. As with the modern Hollywood blockbuster, none of this sort of special effects trickery and “look at this” showmanship is worth a hill of beans if there isn’t a love story at the centre of it. And though it’s true that the relationship of Faust and Gretchen can’t quite match that of Faust and Mephisto for screen power – the love stuff drags in the middle section, to be honest – Murnau brings it all to a terrible, heart-rending conclusion by the end, when the Mephistophelean chickens come home to roost for Faust, and more tragically for Gretchen, who is surely an innocent in all this. 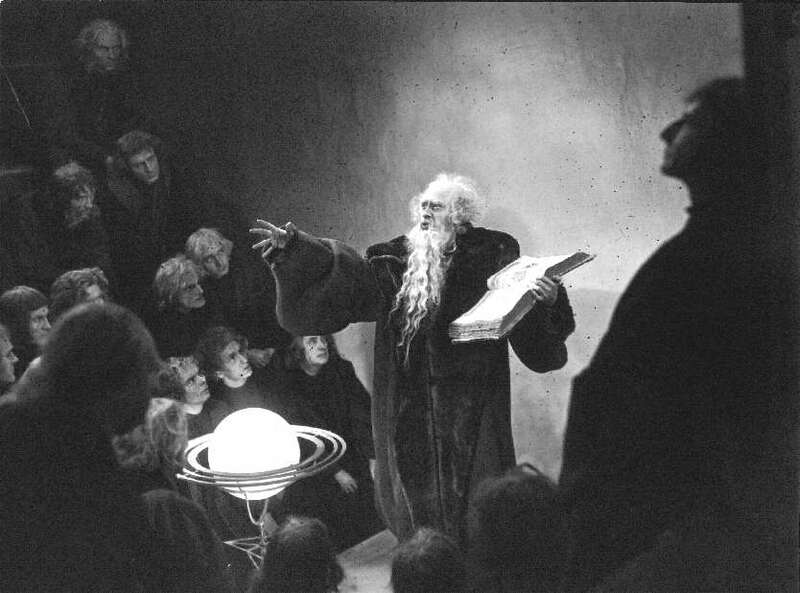 A triumph of story-telling, of special effects, of German expressionism and of sheer theatrical bravado, Faust was the most expensive film ever made in Germany. It’s old, certainly, but watching it takes only a minute or two of adjustment and you’re transported, as if on Mephisto’s cloak, from the world of Michael Bay to the universe of FW Murnau. Trivia: The demon Mephisto wagers with God that he can corrupt a mortal man’s soul.